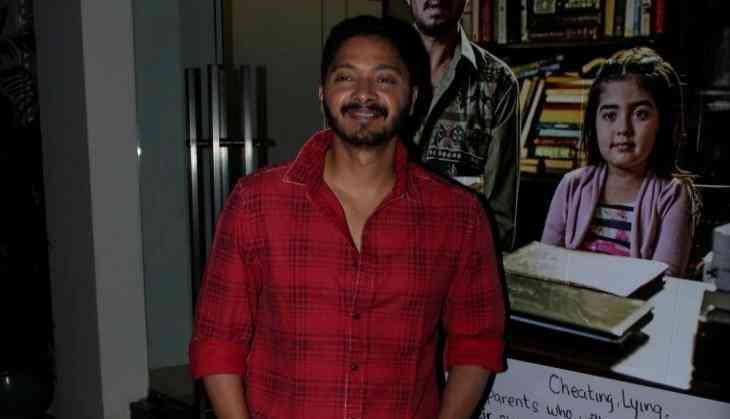 Actor Shreyas Talpade, who watched the forthcoming film 'Hindi Medium' at a special screening here, says during his childhood, he used to feel left out because of other children who were fluent in English. But he says as one grows older, the complex vanished. 'Hindi Medium', starring Irrfan Khan and Pakistani actress Saba Qamar, is about the divide that the education system is creating with English medium schools versus regional language schools and private schools versus government schools. Praising the film and Irrfan's performance, Shreyas said here on Thursday: 'Irrfan Khan continuously has been doing amazing films and when he acts in any film, it gets considered as a good film. Hindi is our national language. We shouldn't have any complex while speaking this language in our own country. Talking about his own upcoming film, Shreyas said: 'I am directing and acting in a movie called 'Poshter Boyz' along with Sunny Deol and Bobby Deol and another one is 'Golmaal Again'. This is my third film in 'Golmaal' series. Working with Ajay Devgn, Arshad Warsi, Kunal Khemu, Tushar Kapoor, Parineeti Kapoor and Neil Nitin Mukesh has been an enjoyable experience. 'It will have a Diwali release.' 'Hindi Medium', directed by Saket Chaudhary and produced by Dinesh Vijan, will release on May 19.